Williamson is Tanzania’s only important diamond producer. The mine is an open pit operation based upon the 146 hectare Mwadui kimberlite pipe, which is the world’s largest economic kimberlite to have seen continuous mining. Despite having been in operation since 1940, the pit is only 95 metres at its deepest point due to the large size of the deposit. The low grade of the deposit is countered by the high value of its diamonds and lends itself well to high volume, bulk mining methods. Williamson is renowned for beautifully rounded white goods and ‘bubblegum’ pink diamonds, including the 23 carat Williamson Pink (54 carat rough stone), which is considered to be one of the finest pink diamonds ever recovered. The Company’s expansion plan at Williamson has involved major pit reshaping and plant rehabilitation work in order to take the mine to a 5 Mtpa operation. In FY 2018 the Company achieved the highest level of production at the mine in over forty years, with 341,102 carats produced (FY 2017: 225,202 carats). 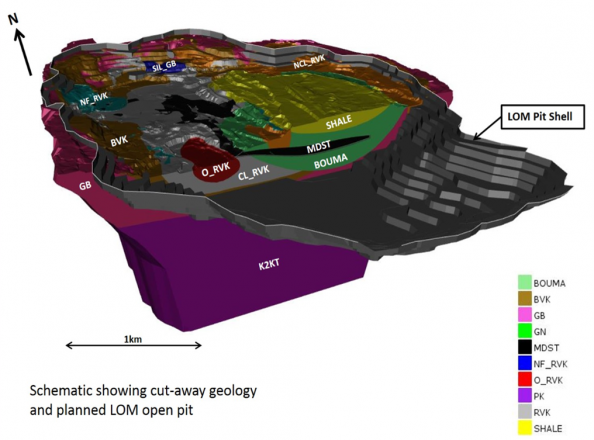 The Company’s current mine plan for Williamson has a life to 2033, but given that the Mwadui kimberlite hosts a major resource of 39.0 Mcts, there is potential to substantially extend the LOM. The Williamson mine was discovered in 1940 by Dr John Williamson, a Canadian Geologist, and is the largest economic primary diamond deposit to be in continuous production. Williamson has been successfully mined for over 70 consecutive years, and as such holds the record for the world’s longest running uninterrupted diamond mining operation. By the 1950s the mine had developed into a successful operation with equipment that was state-of-the-art for its time and a labour force of several thousand. The mine was closely managed by Dr. Williamson until his death in 1958. During this period production was predominantly from near-surface eluvial deposits that had undergone significant secondary diamond concentration, with grades that ranged from 30 cpht to 100 cpht and an annual production approaching 1 Mcts. In 1958, the mine was sold to an equal partnership between De Beers and the colonial Government of Tanganyika. De Beers operated the mine until 1973. Tonnages and carats produced increased dramatically during this period, but grades dropped to well below 30 cpht as the open pit entered primary RVK (link to glossary) material underneath the near-surface zone of eluvial enrichment. From 1974 to 1993, the mine was operated by STAMICO (the Tanzanian State Mining Organisation). Grades varied between 5 and 12 cpht and diamond output fell dramatically relative to the previous 15 years to approximately 70,000 carats per annum. 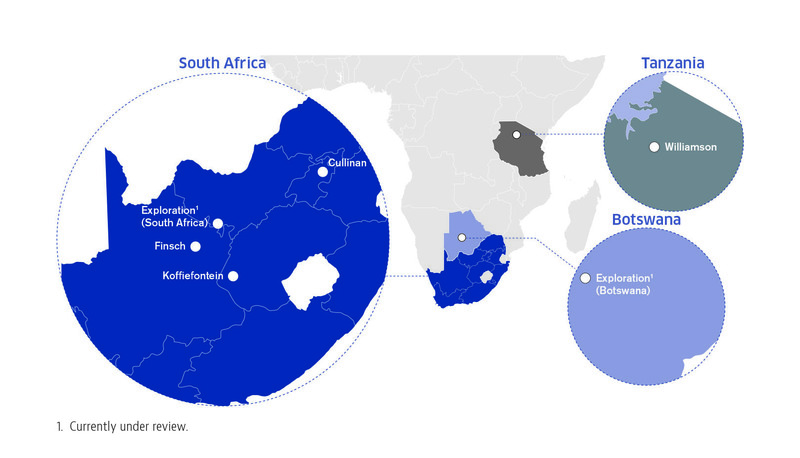 In 1993 De Beers returned to Williamson as operators, together with a recapitalisation and ownership restructuring. 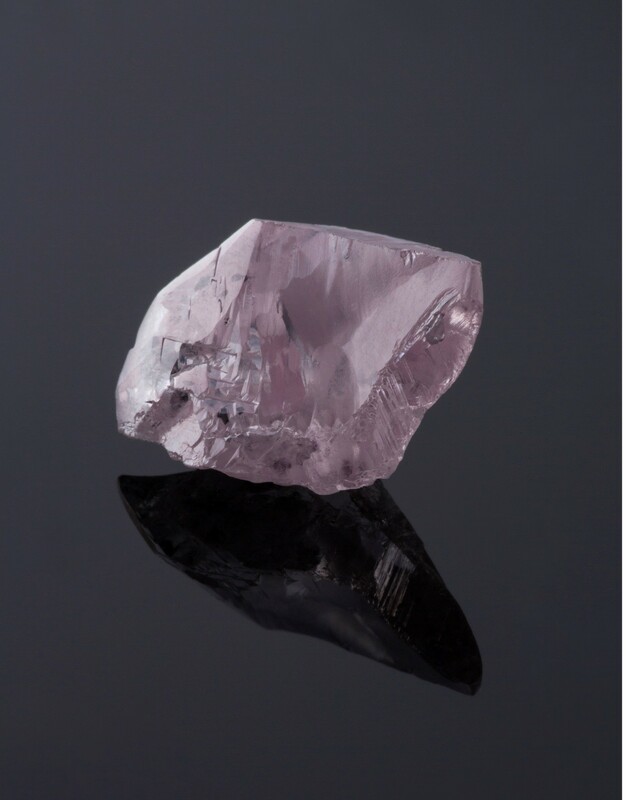 Production increased to approximately 195,000 carats per annum to 2005. De Beers announced it would be selling its 75% interest to Petra in November 2008, and the acquisition of Williamson in February 2009. 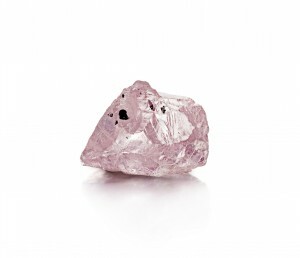 Williamson is renowned for ‘bubblegum’ pink diamonds, including the Williamson Pink, which is considered one of the finest pink diamonds ever discovered. 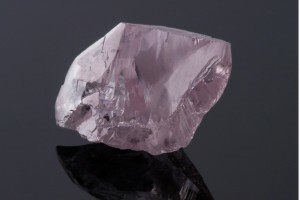 It was found in October 1947 weighing 54 carats in the rough. The mine, then owned by the Canadian geologist and royalist Dr John Williamson, gave the diamond to Princess Elizabeth in 1947 as a wedding present. It was cut into a 23 carat round brilliant and set as the centre of a brooch in the form of a jonquil flower, designed and set by Cartier in 1953 – see our Diamond Heritage. 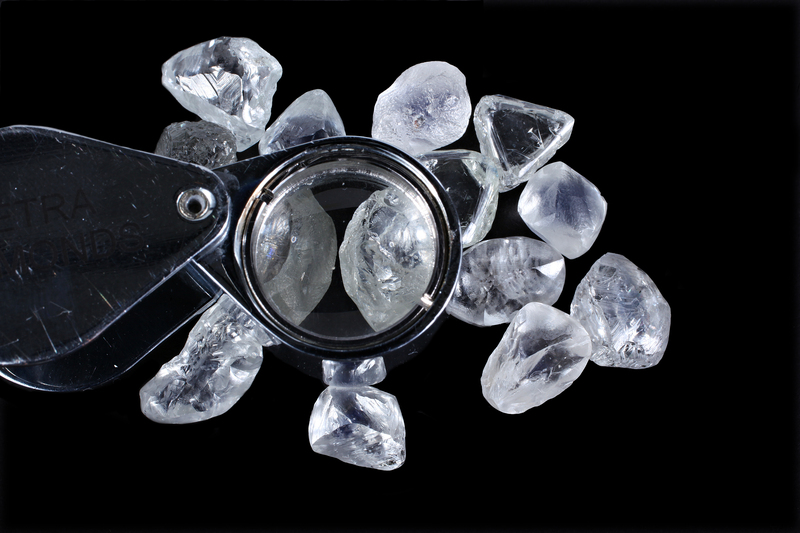 The mine also produces beautifully rounded white diamonds of high quality. 1. Resource bottom cut-off: 1.15mm. 2. Changes to Resource figures due to mining depletions only. 3. US$/ct values of 240-270 for ROM, based on FY 2018 sales values and production size frequency distributions. Negatively impacted by the 71,654 carat parcel being blocked for export. . The mine performed well operationally with production up 51% to 341,102 carats (FY 2017: 225,202 carats), being the highest level of production achieved by the mine in over 40 years. This is despite operations being impacted by liquidity constraints due to the parcel of ca. 72,000 carats that remains blocked for export and the overdue VAT receivables of ca. US$15 million. In FY 2019 ROM throughput is planned at ca. 4.7 Mt at a grade of ca. 6.75 – 7 cpht for FY 2019, supplemented by alluvial production of ca. 0.4 Mt at a grade of ca. 2.5 cpht. Williamson Diamonds Limited (“WDL”) holds a valid and unencumbered special mining licence number 216/ 2005 dated 25 May 2005 in respect of property described by co-ordinates in the special mining licence located in the Mwadui area in the Shinyanga region. The special mining licence confers on WDL the exclusive right to mine for diamonds in relation to the licence areas until 24 May 2030. The special mining licence may be renewed for a further period, not exceeding the estimated life of the remaining orebody, on the basis more fully set out in the Tanzania Mining Act 14 of 2010 (“the Mining Act”). In terms of section 87 (1) (b) of the Mining Act, a royalty of 5% is payable on the sale of diamonds recovered by WDL. In addition, corporate tax at the rate of 30% is payable in terms of section 4 and other relevant sections of the Tanzania Income Tax Act, 2014 together with an export levy of 0.3% of diamond sales.